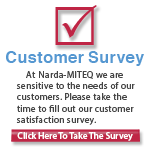 L3 Narda-MITEQ has been a pioneer in the field of Amplifier development for over 60 years. We offer one of the world's most extensive catalogs of amplifier line. These unique, full function space saving amplifiers offer the same performance and options as our full rack units but require 1/3 the rack space of a traditional unit. Redundancy can be achieved in 300% less space, now that is a true savings. 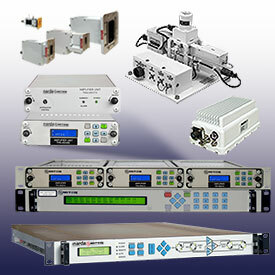 Space savings 1/3 rack units are only available from L3 Narda-MITEQ: 1/3 Rack Mounted Amplifier Systems - TRA Series,these unique 1/3 rack mount products are also available as Amplitude/Slope Equalizer Systems. In addition to providing amplifiers for SATCOM applications, L3 Narda-MITEQ also offers a wide array of RF/Microwave Component Amplifiers and Amplifier Assemblies.